Merry Blogmas Day 11! Christmas is just around the corner, less than 30 days away now! 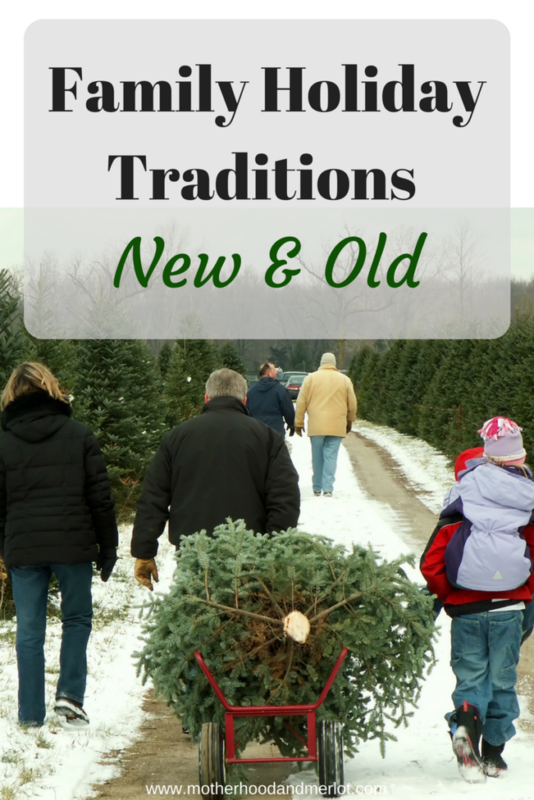 Today, we are talking all about Christmas traditions, old and new. Those may be family traditions, personal traditions, long-standing traditions or brand new ones that are just being started! Our big GIVEAWAY ends tomorrow, so if you haven’t entered, make sure you do that today! Growing up, it seems like my family was big on traditions. We always had things each year that we never failed to do. They were just our family traditions that we never wanted to miss! After getting married, my family adopted even more traditions that we wanted to carry on with our girls. 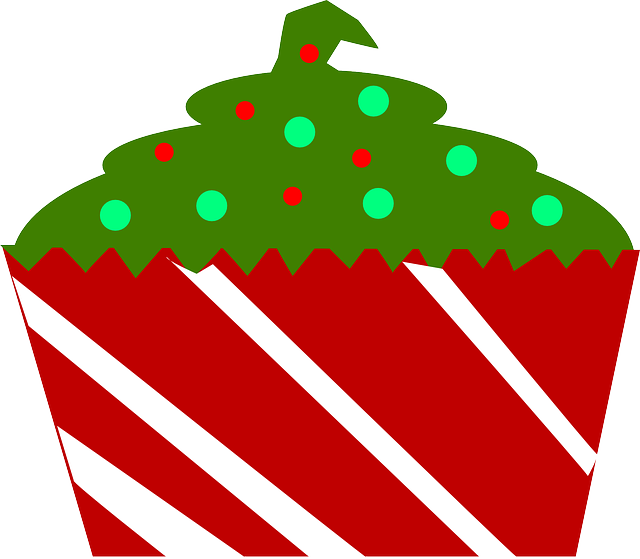 Making a cake for Jesus’ birthday: Even from a young age, we wanted our girls to know the real meaning of Christmas and not think it is purely about getting presents. Every year, we make a cake to celebrate the birth of Jesus on Christmas Day. We enjoy some ourselves, but my mother-in-law also had a new twist to the tradition that we leave a small piece outside for the birds so that they could take it up to heaven. Jesus needs cake too! 🙂 My oldest absolutely loves this tradition and it really helps her to learn and understand the true reason why we celebrate Christmas. Team Real Tree: Every year since I can remember, we have gone to get our real tree the weekend after Thanksgiving. I absolutely refuse to have a fake tree, and have to have all our decorations up as soon as possible to take in all of the holiday goodness. Baking Christmas cookie platters to hand out to all the neighbors: I did this with my mom and siblings every year growing up, I did it last year on my own and I’ve done it a few years with my in-laws. It is so much fun to make a bunch of different cookies and treats, and then pass them out on cute holiday platters to the neighbors. This is also the perfect way to show Christmas kindness. Opening a present on Christmas Eve: This is something that a lot of people do every year. Usually it involves some sort of pajamas or comfy clothes. My mom used to let us pick whatever one we wanted, but we had to edit that tradition since some of us got really great gifts that night and then others got socks… No on wants sibling battles like that the night before Christmas! This year, I am starting something a little bit different with my girls and nieces. I am making them Christmas Eve boxes, filled with pajamas, a Christmas book or movie and a snack of some kind. This will be what they get to open on Christmas Eve night. A different take on “Elf on the Shelf”- Traveling Wisemen: My sister-in-law introduced me to “the traveling wise men” last year, as a substitution for the well-known “Elf on the Shelf”. Here is a little more from her, “For years it has been our family’s Christmas tradition to put together our nativity scene all decked out with Joseph, Mary, Baby Jesus, an angel and of course, 3 wise men.” “The interesting thing is that there were no wise men present at all when the baby, Jesus, was in the stable. The story of how and when the wise men came to find Mary and the Christ-child is found in Matthew 2:1-12. They found Mary and him (up to two years after his birth) in a house. So, we started putting up our nativity together without our wise men inside and instead had them “journey” to Jesus. It has been a fun tradition and our girls have been a part of “traveling” the wise men. This year, my husband and I thought it would be fun for the wise men to journey through the night and when our girls wake up, they could go find where they journeyed to during the night. 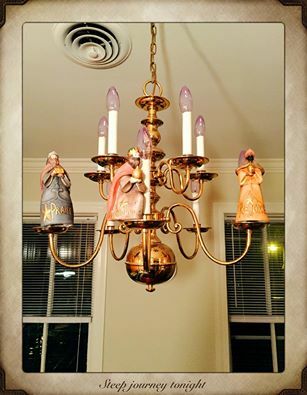 It has proved to be much fun for us as we move the wise men to different locations in the house (even on the chandelier) as well as for our girls locating the wise men and it helps us remember the true story of Christ’s birth.” I absolutely love it! I loveeeeee going to Christmas Eve service! It is one of my favorite church days of the year! We get extra dressed up compared to regular Sunday service and it is just a really special night. Christmas Eve service is always such a beautiful and moving service:) Love it! Getting ornaments every year is a great idea! I love the traveling wise men idea! So unique! We do Christmas Eve presents too! I want to do the Christmas cookie platter for my neighbors now that I have some and I always like to leave something for the mailman too! Great traditions! So important that little ones know what Christmas is all about and that it’s just not about getting gifts like you say. I think for some families the “old traditions” have been lost sadly and others are making their own, love this post, inspiring! I love that tradition too! I love that you bake cookies to hand out to the neighbors. That’s so sweet! Thank you, it’s so much fun! Haha it’s way more embarrassing for me than it is my husband I think. Aw, love this! Just reading these is helping me get into the Christmas spirit! I love the scandalous stocking idea. Especially for a modest person… so cute! Got a kick out of that. It’s really fun/hilarious to do each year! We baked Christmas cookies for the neighbors when I was a kid, too. Now my holiday traditions include watching my favorite movies and driving around to see the lights. I love driving around to see the lights. Especially, when they are attached to music and people really just go all out! That’s so interesting to hear your Christmas traditions! The tradition of making a cake is so sweet. It’s always so interesting to see how everyone’s traditions differ. We used to do midnight mass, but our church stopped it 🙁 I’m big on the Christmas eve box now! Chelley @ AisForAdelaide recently posted…Guess what? I’m NOT sorry! Great traditions. We get to open one present on Christmas eve as well. Our family has a bunch of traditions…my favorite is watching Christmas Vacation on Christmas Eve! That’s one that I still have to watch this year! I love the idea of opening PJ’s or something on Christmas Eve. It’s so nice to wake up on Christmas morning in new Pajamas! We used to go to mass on Christmas eve with my mom. And when my kids were little we had elf on a shelf. I usually stick him in the Christmas tree now. Happy holiday season. Love the traveling wiseman tradition! At our house, on Xmas eve, a tradition is to pick one gift to open and then bedtime. I look forward to it all year. I love Christmas Eve traditions almost as much as Christmas traditions! Love these traditions! We have been getting special “Christmas” pajamas for each of us to open on Christmas Eve for the last couple of years. So fun! Your post makes me excited for Christmas! The only kids in our family is my niece and nephew, but now that my niece will be 3, she’s starting to really get into the holidays, which makes it so much more fun for the rest of us! My kids would love making a cake for Jesus’ birthday! I love that idea. Joanna! You’re so awesome having a cake for Jesus’s birthday. We talk about Jesus’s birthday a lot but I didn’t think to do cake!!!! I love the idea of the wisemen being moved around too. I’m all for the commercial aspects of Christmas, but Christmas mass is what makes it Christmas. My kids really understanding the meaning of Christmas is what is so important. I love how you wove that through all of this! Thank you! That’s one of our favorite traditions. You have some AWESOME traditions!! I love that you leave a slice of cake outside too! I love the traveling wisemen idea and baking a cake for Jesus’ birthday (absolutely borrowing this idea)! We usually have the family over for Christmas Eve dinner, watch classic Christmas movies, and open one present the night before. I LOVE the 3 wise men idea! So cute! And no elf…that sounds like a wonderful holiday, may you enjoy every second! I love this! Love the scandalous stocking idea hahaha I’m not sure I could pull that one off as my boyfriend does Christmas separately , so I wouldn’t be there to see their reactions! LOL I watch home alone every year, it’s a wonderful life is a family tradition we watch every year and we just saw the play of it last night- which was awesome! Great ideas! I love the idea of making a cake for Jesus with the kids to teach the the true meaning. So cute. Also, love giving something like cookies or card to neighbors…even though every year I seem to just miss the deadline! We had many of the same traditions growing up. 🙂 One other thing we did was to sleep “under” the tree on Christmas Eve. It was my favorite nights of theyear. We do a Christmas Eve box! 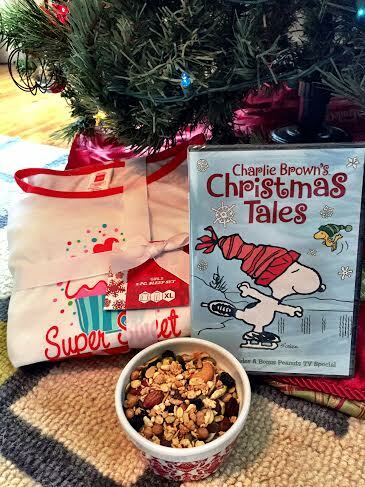 New Pjs, a movie and other goodies! It’s my favorite 😉 I love creating traditions for my little family that the boys can look forward to every year. 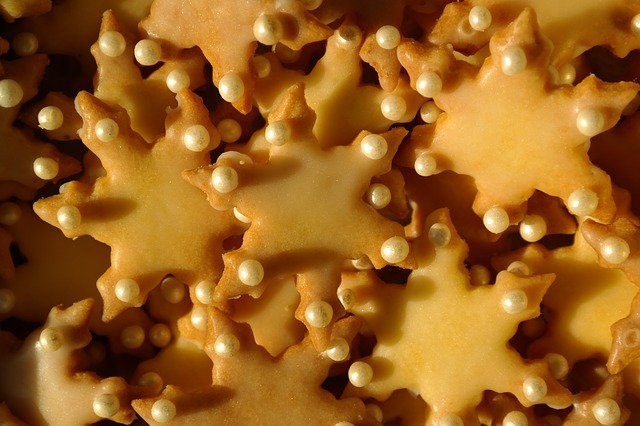 WE HAVE OUR OWN CHRISTMAS TRADITIONS AND I ENJOY READING HOW OTHER PEOPLE CELEBRATE. THAT SCANDALOUS ONE SEEMS INTERESTING. MIGHT BE ADDING THAT ONE. I love your sweet Christmas traditions! We never celebrated this holiday growing up so I’m always interested in reading about other people’s! Your neighbors have to look forward to those baked treats every year! We donate a turkey to a family in need every year.